Ham LLC is a Medium-Wealth Commercial Offices Building that grows on all densities of Commercial zones. Ham LLC is quite clearly a recreation of Chicago's Marquette Building, modified to be a standalone building. 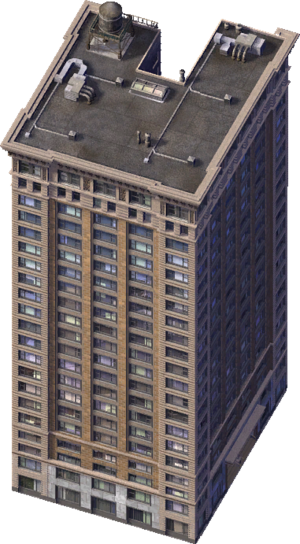 This makes it one of the few Chicago Tileset buildings that is actually from Chicago. This page was last modified on 12 May 2015, at 03:15.